August was one of the best months ever for electric vehicle sales, with nearly 103,000 units estimated delivered, a number that was within a whisker (~1,000 registration) of the previous record set in December of last year. Global sales during the month increased by 64% year-over-year, and suggests that September will bring us a new best-ever result, as the Fall has traditionally always meant big gains for the segment. In addition, the net year-to-date totals are moving up fast too - by 47% overall, to roughly 651,000 sales. 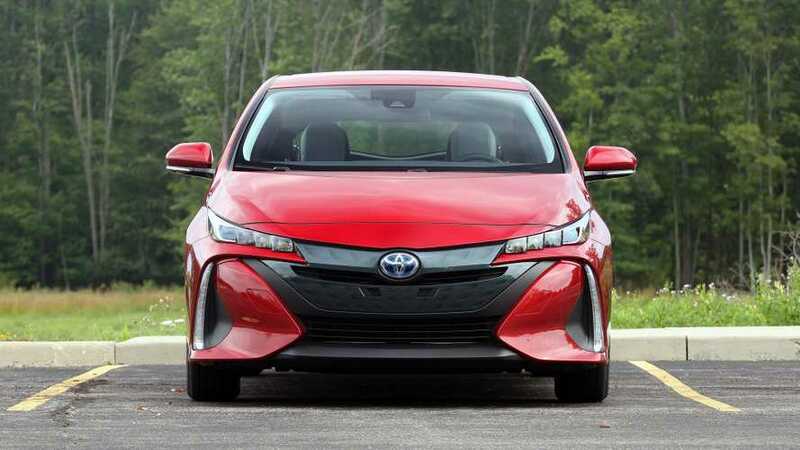 For the first eight months of 2017 the most popular model was the Toyota Prius Prime, with over 35,000 deliveries - and this despite thin inventories...and also not being available for all eight months in many regions (for example, in Japan sales began in February). 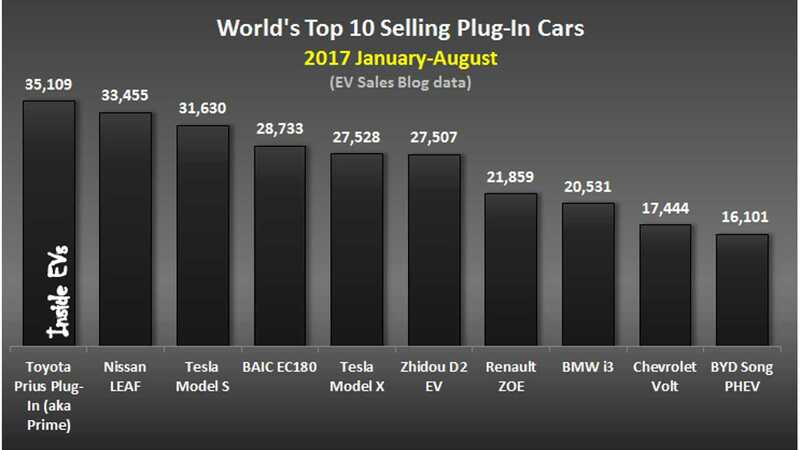 As we mentioned last month, the BYD Song PHEV is finding a lot of traction, and has just broken into the "Top 10" after just five months of sales in China. Among the manufacturers the competition tightened in August. Tesla is still out front with 59,000+ deliveries, and is just 2,000 ahead of BYD, as BMW fell down to third place with a total 55,683 of deliveries..
We have never seen such a close race for the first place this late in the year. 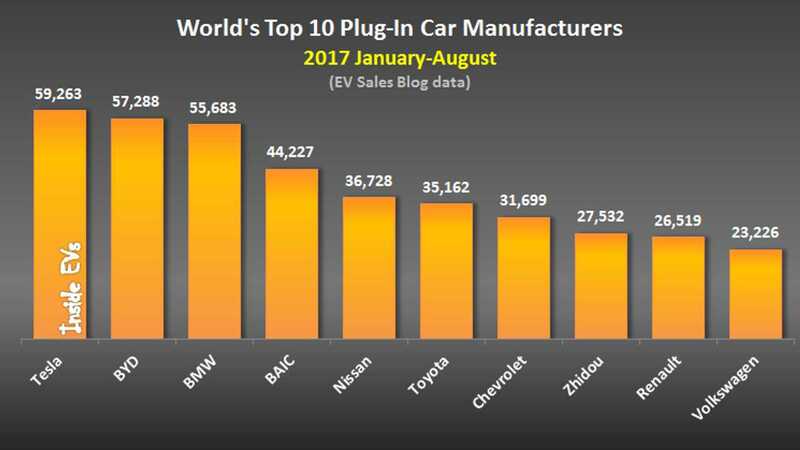 Looking ahead, Tesla will likely hold off BYD in September for the top spot, as the company is set to post a big end-of-quarter number. With that said, and even with Tesla Model 3 deliveries likely to be brisk to end out the year, the smart money is on BYD ending the year in first, as the company is expected to move more than 60,000 units in the final four months.